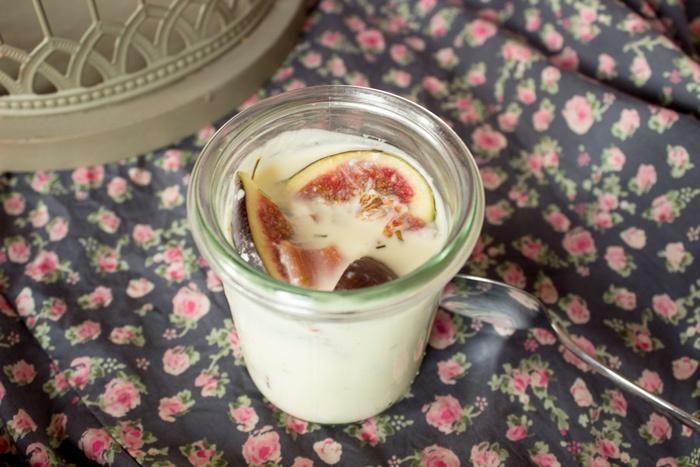 Strangely Panna Cotta is not only made with sweet ingredients. Did you know that? French chefs revisited this famous foreign recipe a long time ago and adapted it to the French taste. Panna cotta with different kind of cheese or Foie gras are getting more and more common on French table, you have to get use to it! I will try to come soon with more salty panna cotta recipes. 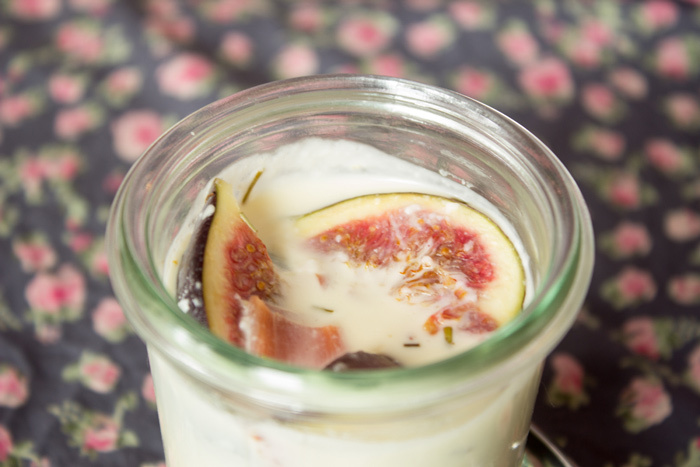 For the first one, this is a goat cheese panna cotta associated with figs and cured ham. This is again an easy recipe, you need only few minutes to make it. French cuisine is not that difficult in fact and quite diverse. 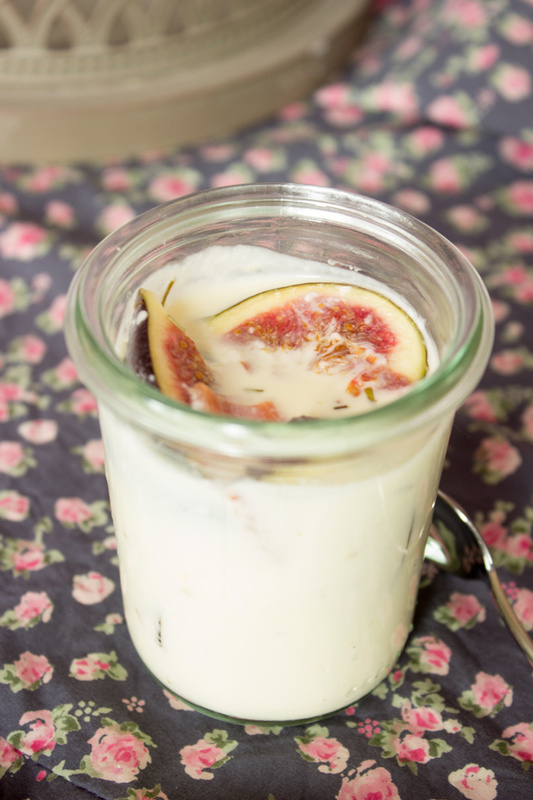 If you want to find more verrine recipes, do not hesitate to visit the verrine recipes index. Add some ice-cube in a bowl of cold water. Add gelatine. Wash and cut figs. Slice cured ham. Heat goat cheese and cream on medium heat. Add pepper, salt and Herbes de Provence. Remove from heat before a boil. Add gelatine, figs and ham. Mix very softly. Pour in your verrines and refrigerate at least 2 hours. You can serve as appetizer, starter or if you want to joke why not to serve this panna cotta for dessert! I am sure you will have a huge success with it! Let's give it a try. Thank you very much for reading. 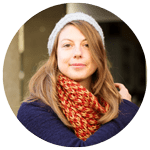 If you wish to receive the latest recipes of a French girl “cuisine”, do not hesitate to register to the newsletter or to follow me on social media! WOW! I never saw gelatin used with cured ham. Makes sense though, in French cuisine! Love the combination of goat cheese + fig. So, so good. Mmmm.